Info: Created on Mon, 18th March . Last edited on Fri, 22nd March. Awesome work! It makes me think of machinery. Nice, I love the concept. Lowercase g and 9 are identical. @Cookielord Thanks! Since the pattern is fixed, it will be similar characters. Great, I like this style. 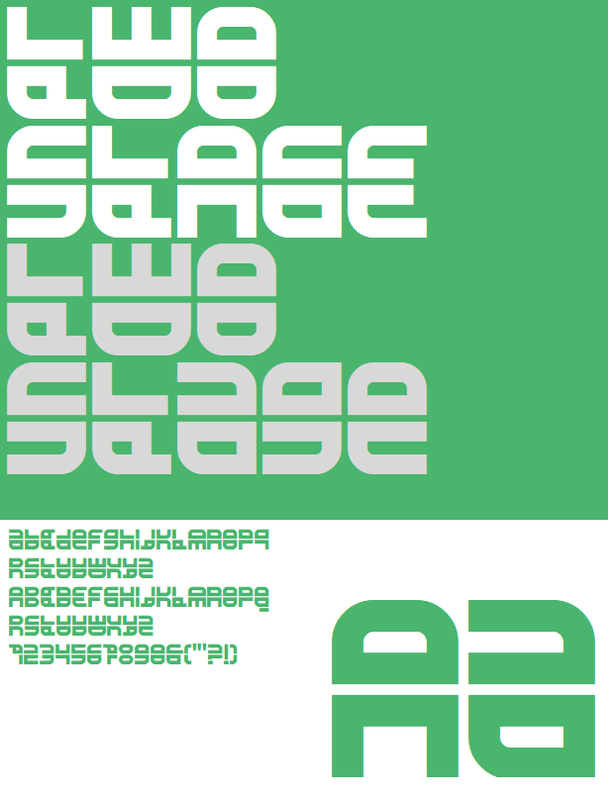 Check out my font Extra Fontestrial for comparison. Congratulations! FontStruct Staff have deemed your FontStruction worthy of special mention. “TwoStage Stencil” is now a Top Pick.